I apologize for the inactivity. I have been very preoccupied with personal projects, work, other activism & a lot of travel the last month. That said, there is a lot going on behind the scenes here including an update to the water quality test I promised earlier this year. 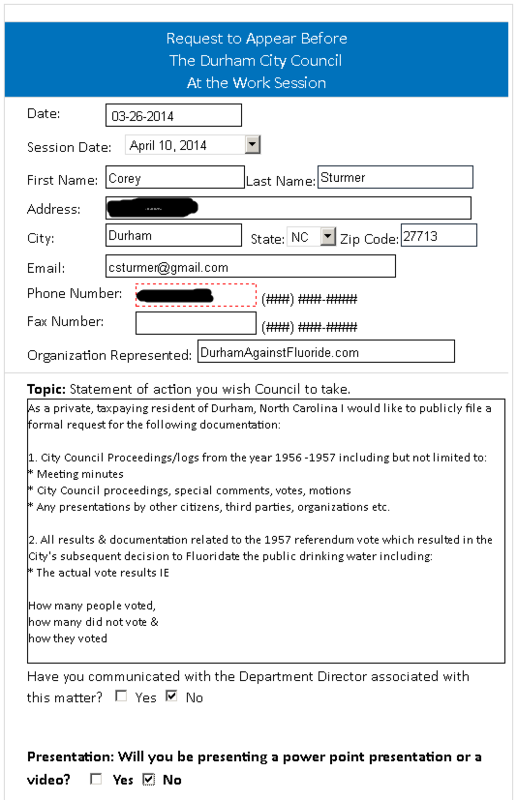 In addition, I have prepared some CRUCIAL disclosures about the political history of the Fluoridation issue in Durham which I am still trying to bring forth on the Bill Lumaye talk radio show. Stay tuned for the latest and in the meantime enjoy this 16 minute interview I did for fellow YouTuber “MsLeafyGreens” while I was visiting Phuket, Thailand. On my way home from work today I could not resist calling into “The Bill Lumaye Show” which is a local talk radio station here in Raleigh North Carolina. The topic was marijuana actually & I simply had to offer my commentary on the utter hypocrisy of the State’s criminal “war on illegal drugs,” which has jailed more innocent people for victimless crimes than any other known civilization in our solar system! …But as you will see in the video above – It wasn’t just about the cannabis for me, I needed to take a swing at water fluoridation because in contrast to the war on marijuana it is the ultimate paradox. You have cannabis, an indigenous plant. Something that grew on this planet long before & will surely grow long after human beings and their infinite pages of worthless regulatory code are gone. Like any substance, humans have the free will to place it into their body…Or not! We own our bodies, right? Our society MUST accept this truth, otherwise how can one explain phenomenons like the internationally famous moron Shoenice, who seems to make a living off of the millions of people around the planet watching him eat substances like painter’s caulk!! If this is not a crime, smoking pot surely isn’t either! Like Shoenice, some people make the personal decision to smoke substances like marijuana, or eat it, or not for a number of different reasons. The reason is immaterial! The point is that we we actually PAY the state money to conduct no-knock raids, which sometime result in the accidental shooting & murder of completely innocent people for the most extraordinary reason that they MIGHT have some indigenous plants in their house! Meanwhile – it is an irrefutable fact that corporations in collusion with our city bureaucrats actually engineer us to pay them for disposing fertilizer & mining waste into our drinking water! No wonder trying to file a simple assault charge with the police against those responsible is like talking to a friendly, uniformed brick wall. Can anyone tell me why we pay to have innocent people rot in jail for smoking pot, while fluoridators walk off scot-free with our money, & Shoenice has millions of views on YouTube for eating Elmer’s Glue?! If I get the opportunity to discuss this issue on the radio I will be disclosing some incredibly revealing information that I garnered from a public request for information made back in march.